From first phone call/interaction with any potential customer we spend a few short minutes over the phone to extract a summary of what the project may entail. The in-person consultation is always best to answer all questions since we will have seen the Roof on the same day. Remember all estimates are Free of Charge. Phase 4 Contracting specializes in all types of roofing installation, including steel roofs, metal roofs, flat roofs, shingle roofs and most complex commercial roofing projects. 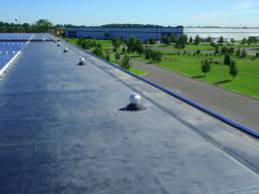 We are certified by the leading manufacturers of commercial roofing material to install their products. We’ll work with any of your architects and contractors to develop a customized roofing plan for your new commercial construction. Or, if you are the proud owner of an existing commercial structure and requiring re-roofing, roof repair, gutter cleaning or emergency roofing services, we’re here to help. Our process is very simple and straightforward. Its starts with an initial phone call, which leads to a free estimate. When you initially contact us, we will have a brief conversation about the project. Once we know whether it is a commercial or residential roof, along with some basic details, we will book an appointment for the initial consultation. Our initial consultations are often done within the first 24-48 hours after we hear from you. What separates us from other Roofing contractors is that we use specialized technology to create exact measurements of each roof. These measurements allow us to accurately estimate the exact material needs for each job. We want to make sure we understand your exact needs, including the size of the roof, materials, and any extra work you may want done at the same time. From residential, to commercial, to materials, each roof repair or replacement can have its own unique requirements. Each consultation ends with us providing you with an informational packet that includes a list of our services, a full list of our credentials, including our licenses and insurance, and a list of references. We encourage you to research any potential contractor, and want our customers to feel our reputation for quality and attention to detail is well earned. Our references will be happy to tell you of their experience with us. 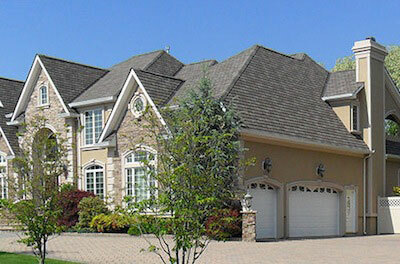 Due to the accuracy with which we measure the roof we can deliver a roof estimate very quickly. These quotes are typically completed in about 24-48 hours. Sometimes in less than a day, or even at the consult appointment. We do not believe in a one size fits all material quote. We work directly with our suppliers to find the best price on the necessary materials for every quote. Our quotes are good for a period of at least 30 days. After 30 days material costs may have changed, or no longer be available. However, if materials are still available we will make every effort to maintain our estimates within a reasonable time frame from when it was submitted. While we work quickly to complete any work on your roof, we also understand delays in starting projects. Our goal is to have your home, or your office, back to normal as quickly as possible. We will offer you general information on all of the materials we are recommending, including any warranty and expectations of durability and lifespan. Our customers can choose to let us handle everything for them, or are free to purchase the necessary materials based on our estimates independently. You are free to source your own materials if you are looking for something we do not normally carry. However, manufacturer warranties can differ based on the exact materials used, but we offer a standard workmanship warranty of at least one year on all of our work, even if the materials were not provided by us. 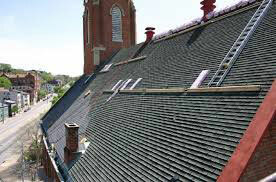 Typically the large majority of our roof projects are completed fast. Even if it is a very large Roof, most can be done in a single day. We generally take 1-2 days to fully complete a project depending upon weather conditions. It is very important when choosing a roofing contractor that they understand the realities of weather and properly plan for forecasted conditions. We will never tear a roof apart recklessly without proper planning for weather conditions and other factors. We would rather delay starting a project, than try and race against a possible storm. Pricing of the project and the time frame an estimate will stay valid for depends on material availability (Shingle Selection) and condition of the home, from the time of the original estimate. One of the biggest things that separates us from our competition is we inform you of any new issues, or variables that come into play that were not discussed before we execute installation or service work. Once we begin to tear shingles off a roof, if we see any plywood or other materials that need replacement, we inform EVERY customer up front of any additional fees. We charge $60 per sheet of plywood decking, if deteriorated or damaged, to ensure your new roof will last for years to come. We will quickly make any necessary repairs or replacements on the now revealed underlying roofing conditions. We take great pride in our work, and we want you to have confidence that when we leave your roof is ready to weather storms for years to come. Phase4 technician contact you to schedule a free, no obligation estimate. Phase 4 Contracting specializes in all types of roofing installation, including steel roofs, metal roofs, flat roofs, shingle roofs and most complex commercial roofing projects. We are certified by the leading manufacturers of commercial roofing material to install their products. We’ll work with any of your architects and contractors to develop a customized roofing plan for your new commercial construction. Or, if you are the proud owner of an existing commercial structure requiring re-roofing, roof repair, gutter cleaning or emergency roofing services, we’re here to help. 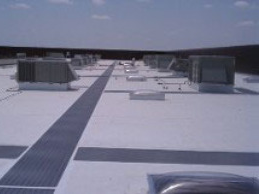 Your roof’s primary function is to protect the interior and the contents that are vital to keep your business running. 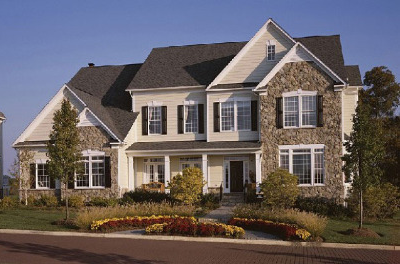 Routine maintenance is critical to keep your roof in optimal condition and extend its life. It also maximizes the value of your investment and ensures that any guarantee that is in place remains in effect. Take care of the problems before they become worse. With our knowledge and the use of premium material we can insure the repair is done correctly and preserve the life expectancy of the roof. Restoration involves the major repair of the roof system, including the repair of all penetrations and resurfacing of the roof to restore it to serviceable condition. The opportunity to perform restoration work normally exists two or three years prior to the roof’s end of life cycle and before significant damage occurs. The cost of restoration is typically one half of the cost of replacing the existing roofing system. We employ a team that has specialty training to be able to identify and correct major deficiencies in roof systems. 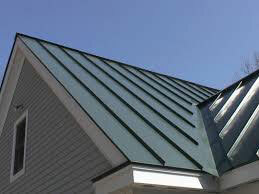 Re-roofing is the process of installing a new roof when a roofing system fails. Roofing system failures can be caused by a number of factors including age, severe weather, poor workmanship, defective materials, improper specification of a roofing system, abuse and failure to maintain the roof via inspections.